I'm observing a bogus inspection error when editing ehcache.xml, the XML configuration file for the EhCache cache provider bundled with hibernate. Intellij did not support it out of the box so I added a resource mapping to enable code completion and error checking in the editor. 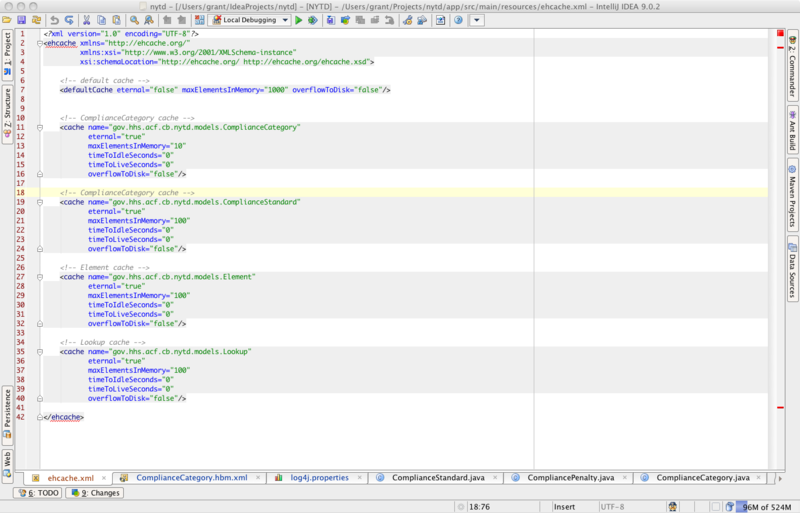 The code completion is working fine but Intellij reports it can't find the root element declaration ehcache. 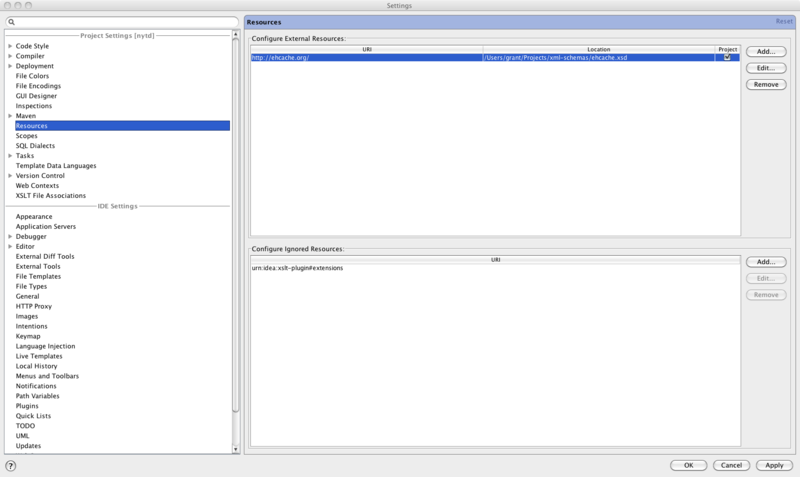 Two screenshots are attached, an editor screenshot showing the inspection error and a screenshot of the Resources dialog showing my URI mapping. I think it's configured correctly so I'm assuming this might be a bug in 9.02. Looks like a bug. Can you submit new ticket to IDEA tracker for that?